For some reason my kids seem to be simultaneously working on a number of themes – we have Autumn goodies on the go, some Minibeast activities (pet snails), Ancient Egyptian reading and exploring, some Medieval reading and activities with their dad and the never-ending Dinosaur obsession is as stong as ever. We have never had so many themes on the go at once but it has all been child initiated and they are loving it. But for my own sanity I am going to try to keep it as one theme per blog post. The kids started noticing the leaves changing colour about 2 weeks ago (maybe 3) so we started doing some Autumn themed pages and crafts. I have to admit I am slightly obsessed by the Activity village autumn tree. I love it ! Although now that I am writing this post I am wondering why we have not used it as a collage template yet ? hmm Autumn is still young I am sure at some stage we will do that. Back to what we have done so far………………. 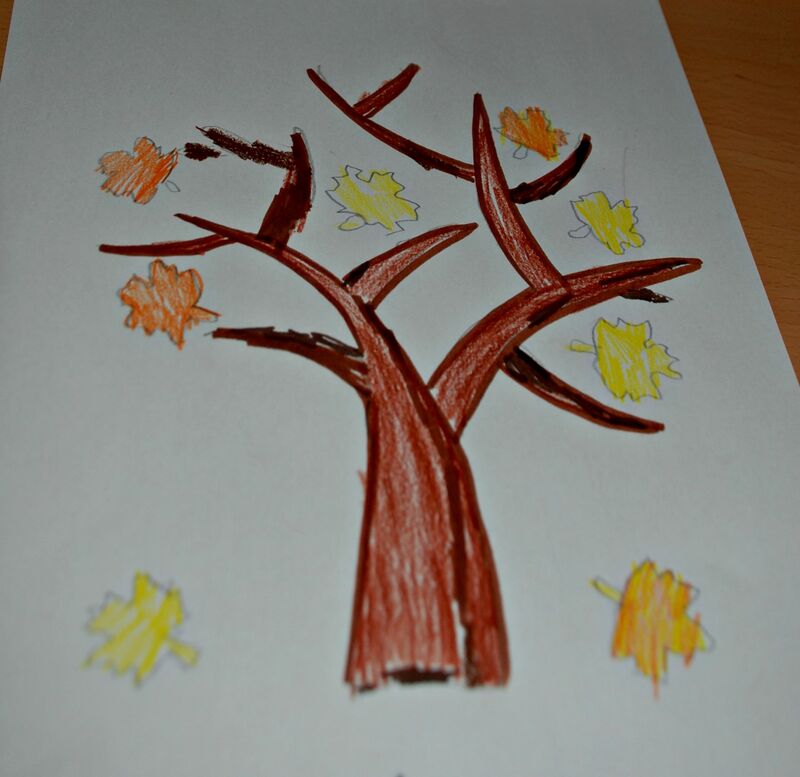 My daughter used the autumn tree as a template last week to trace over and created her own version (her brother helped her with the colouring). 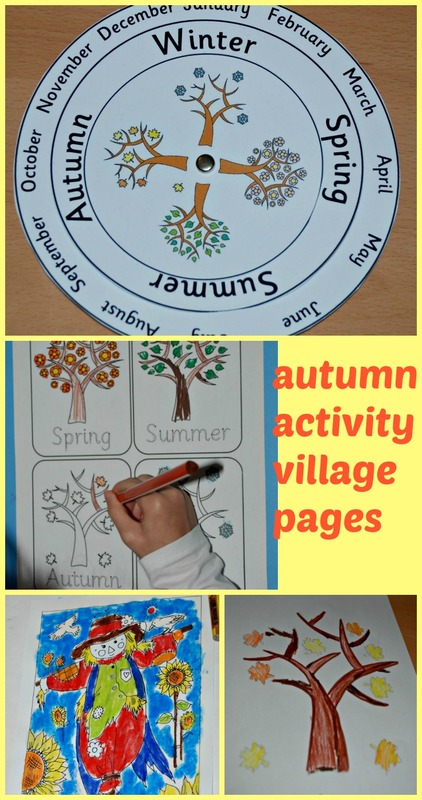 We are loving these tree pages from Activity village. 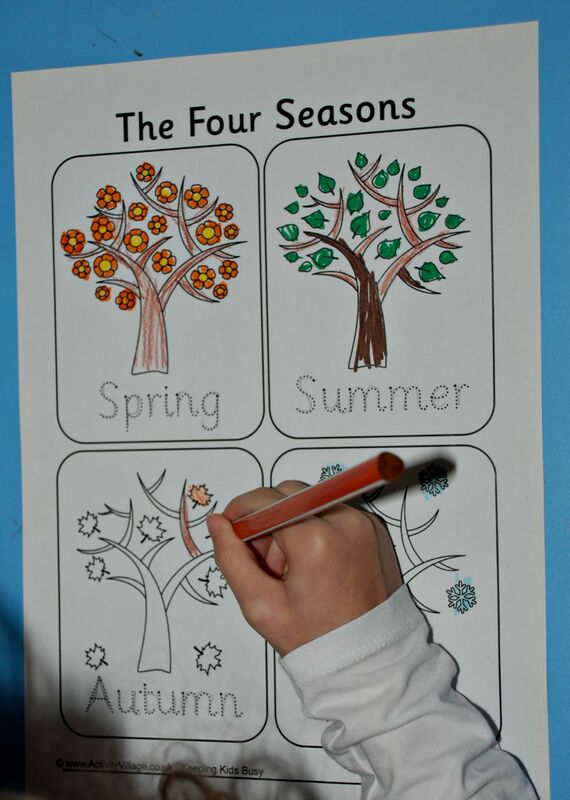 The one below is the Four seasons handwriting page. And the seasonal spinner has also been a big hit with both the kids. (Thank you to Life, Love and Literature for sharing the link – my kids love it). 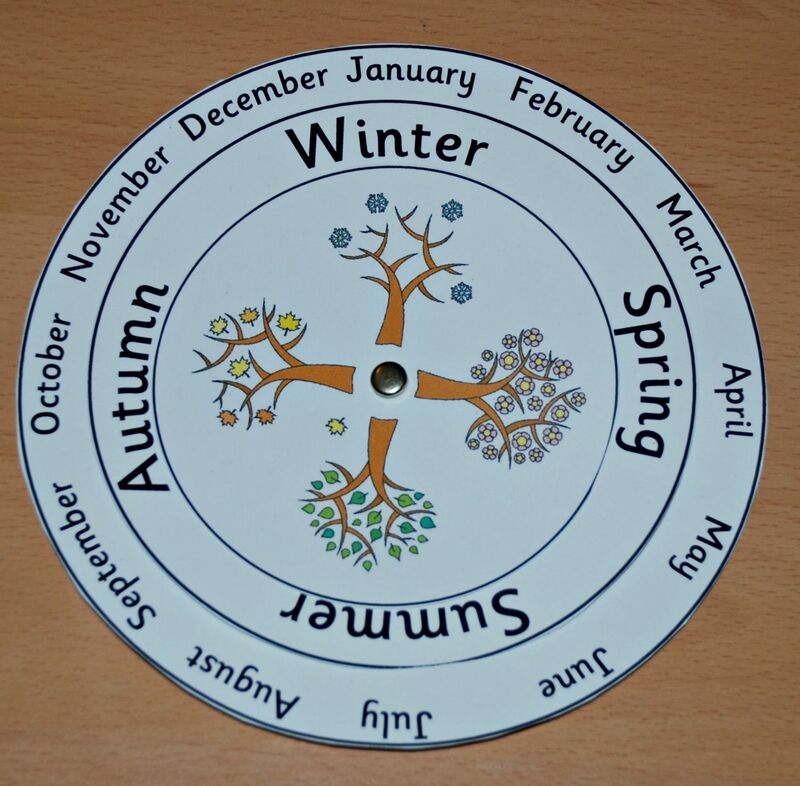 We used it recently when we discussed how the seasons are different in the UK and South Africa. And naturally my word-search obsessed daughter had to try her hand at the Autumn themed word search. I love that she is getting better at finding letter patterns and she is now commenting on words that have similar letter patterns in them. She asked to try something a bit harder so we also tried the Autumn word scramble. She did find this hard but we ended up putting her word search page in front of her and she used those words to help her figure out what the scrambled up words could be. Even using the word search page to help her, I was still so impressed that she eagerly tried something new and did not give up when she battled but stuck with it. 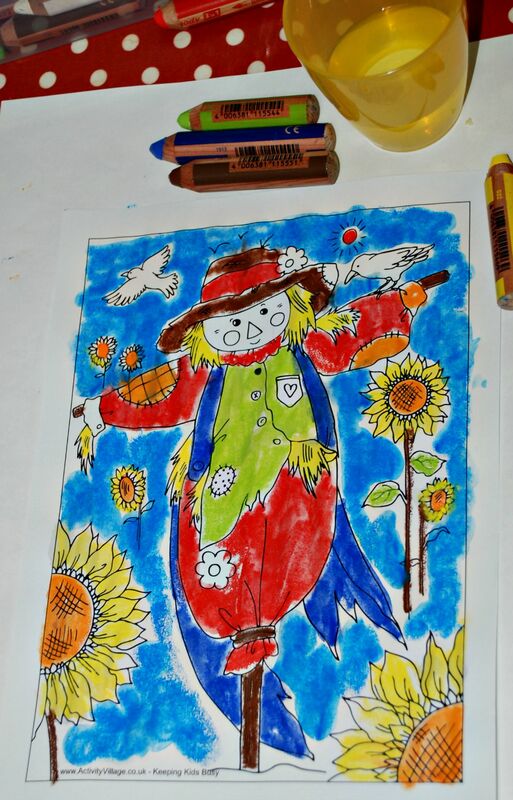 My daughter has also been experimenting with colouring and “water-colouring” one of the scarecrow pages (she has done about 4 different versions of this one scarecrow picture). 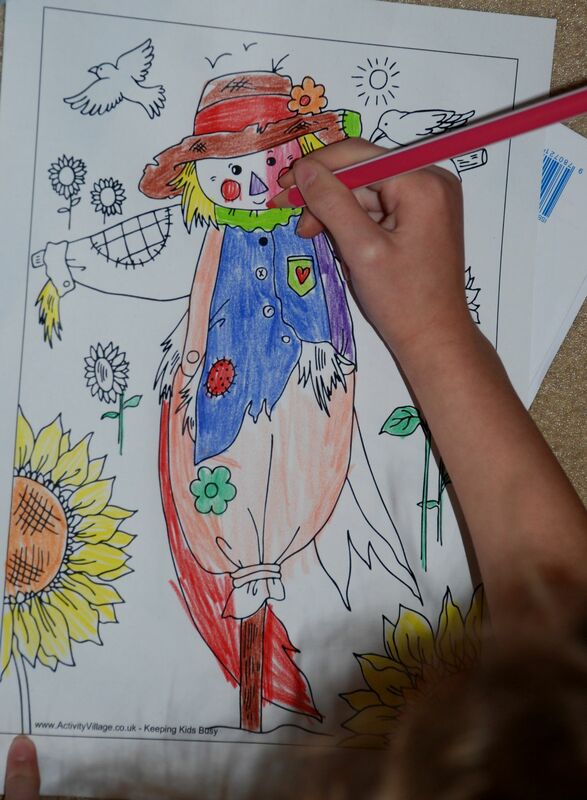 As so as often happens in our house little brother wanted to join in but the scarecrow page that his sister was doing was a bit too detailed for him. 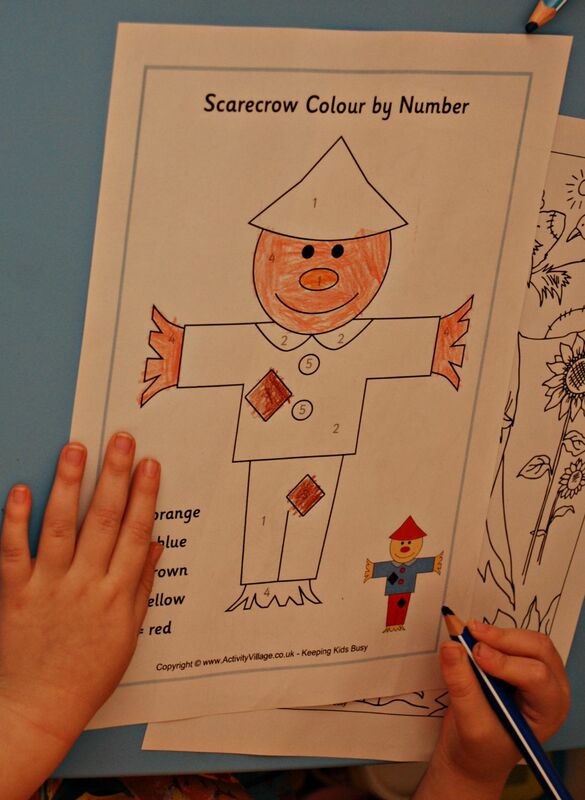 I managed to find this Scarecrow colour by number for him. Although for some reason he is determined that the scarecrow needs to be a peachy colour and not yellow. So that is some of the Autumn themed goodies that we have been doing. 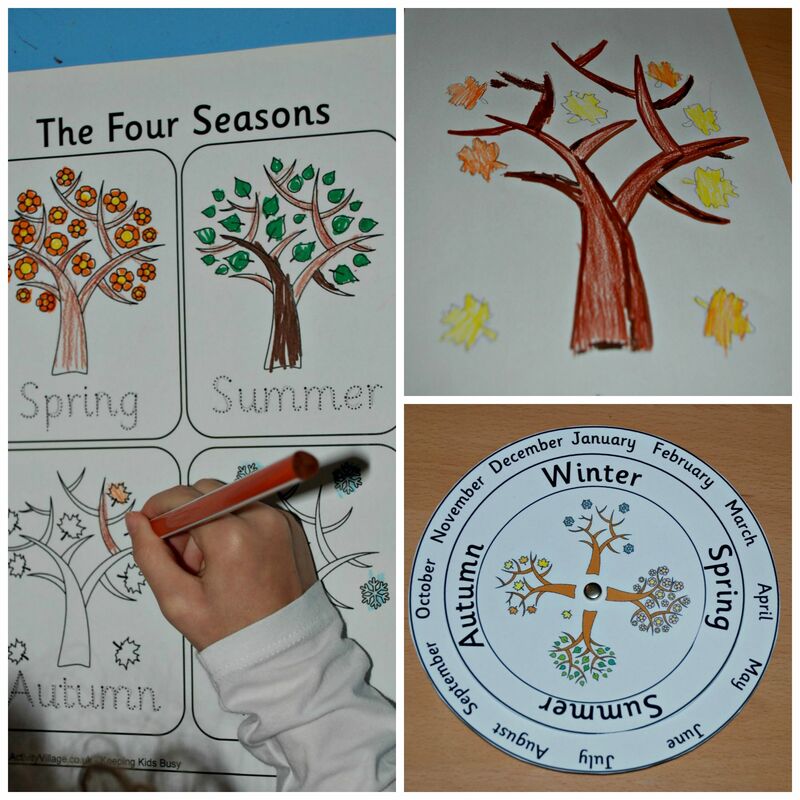 This entry was posted in Homeschooling and tagged 4 seasons, activity village, autumn, home ed, homeschooling. Bookmark the permalink.